PCR is committed to providing high-quality, person-centered programs for our members. All PCR volunteers are expected to implement this commitment in their work with PCR through their interactions with our members. Volunteers are expected to act in a respectful manner that recognizes the dignity of each individual. Thank you for your interest in volunteering with us! 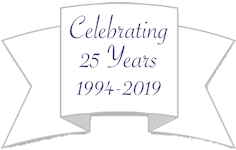 PCR is a nonprofit organization that provides innovative social, recreational, therapeutic, educational, and respite care programs for teens and adults with developmental differences and their families. Our programs take place at various locations in Montgomery County; volunteers and members are from throughout the metropolitan area. PCR programs are facilitated by professionals and staffed by experienced and trained PCR staff. Adults and teens ages 15 and over are welcome to volunteer with PCR. No previous experience is required. 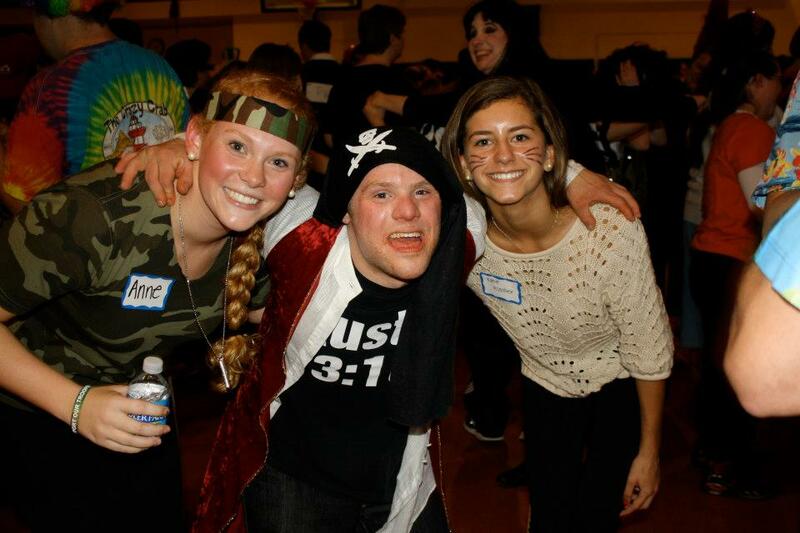 We have a wide range of programs, so when choosing a program to volunteer with, pick an activity that you enjoy! Come volunteer your time as your schedule allows. PCR has been approved by Montgomery County Public Schools for Student Service Learning (SSL) hours. Fill out online volunteer registration form (available on the middle of this page in blue letters) and submit form. Choose a PCR program (or programs!) that you would like to volunteer with and contact Melissa Wyman, Respite Care & Community Outreach Director, with a date you are available to start volunteering. Contact information available on this page. Volunteer Opportunities are listed at the bottom of this page. Contact Melissa Wyman with any questions regarding volunteer opportunities. Go over Volunteer Expectations, Volunteer Role, and Training Resources available on this page, before attending a PCR program for the first time. ALL volunteers: you must bring a copy of your filled out volunteer registration form to your first PCR program and at the beginning of each new fall semester. Give the copy of your volunteer registration form to the PCR staff person on site at the program. If you do not bring a copy of your volunteer registration form to your first PCR program, you may not be allowed to volunteer for that day. Returning volunteers must contact Melissa Wyman at the beginning of each semester to confirm that you will be continuing to volunteer with PCR. You will receive a copy of your volunteer registration form, which you must bring to the first session of the fall semester. More details below. Attend one of the following required volunteer trainings at Our Lady of Mercy Parish (9200 Kentsdale Drive, Potomac MD 20854) You must RSVP to Melissa Wyman with which training you will attend. You CAN start volunteering with PCR before attending this training. Become a fan of the “PCR” page on facebook or twitter to find out more about upcoming opportunities with PCR! This form must be completed and submitted online by applicant. Please do not put, “Need Required Hours” in the Motivation section of your registration form. Instead, put why you chose to volunteer with PCR. If you have not received a response to your submitted application within 3 days, please email Melissa Wyman (mwyman@pcr-inc.org) or call the PCR office (301 365 0561). Before you attend a PCR program, review the training materials provided and all information on the website. BRING copy of your volunteer registration form to your first PCR program, and repeat each new semester. Check in with PCR staff person when you arrive at a program (each time) by signing your full name and relevant contact information. Arrive at a program on time, and leave when program is over. Interact with staff, families, and members with respect. Volunteers must keep track of their hours; PCR will not keep track of your hours for you (Volunteer Timesheet is available under Training Resources). Any required volunteer evaluations forms must be submitted one week before due date. Any forms submitted less than one week from due date may not be submitted on time. ONLY Seth Duncan (Program Director) or Melissa Wyman (Respite Care & Community Outreach Director) may fill out any required volunteer evaluations or SSL forms. Read and be aware of PCR inclement weather policy under the “Policy” page of this website. If you don’t know–ASK. When in doubt, always ask a PCR staff member. Stay open-minded, and have fun! Volunteers must be able to fulfill role independently. Follow instructions given by PCR instructors or staff. Find a way to help members without doing projects or activities for them; always ask a person if they need help before assuming that help is needed. Participate in activities during a program and follow directions given by instructors to model appropriate behavior. Interact with PCR members as you do with typical teens and adults, engage in age appropriate conversations and interactions. Assist PCR instructors and staff by handing out any necessary equipment (i.e.,musical instruments, aerobic equipment, art supplies, etc.). Encourage members to participate to the fullest extent possible in each activity. Help members participate in activities by facilitating movement (i.e.,pushing someone in a wheelchair or use the “hand over hand” technique). If unsure about “hand over hand” technique, please ask a staff person. Try creative communication techniques with members–do not assume because a person is nonverbal or has speech impairments that they cannot communicate. Volunteers should NEVER be alone with a PCR member for any reason. Volunteers should also NEVER perform personal care tasks for members (i.e, toileting care, feeding, lifting, transferring, and positioning). PCR has the right to dismiss any volunteer who does not appropriately follow these expectations. Volunteer Timesheet For Volunteer’s Use ONLY. Print and use, Do not submit to PCR. The PCR NoteAbles programs are music therapy/music enjoyment groups. 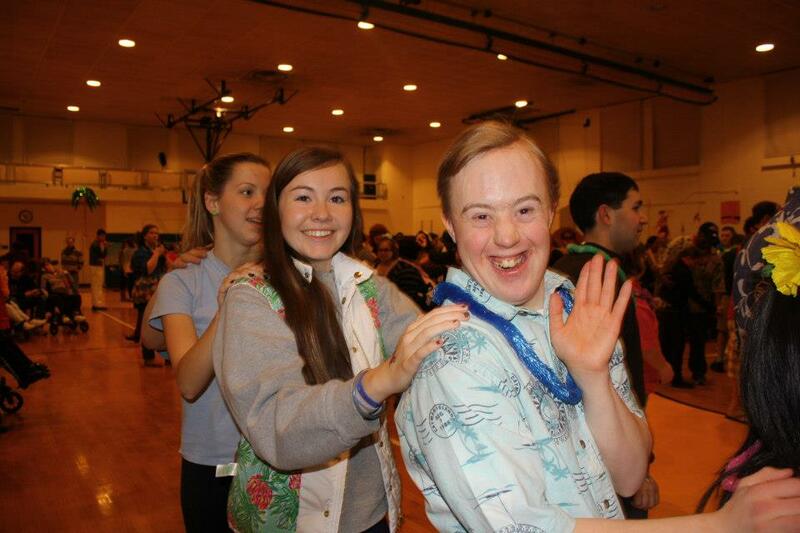 The group focuses on basic music skills using drumming, singing, dance, movement, and socializing exercises. Tuesdays 6-6:50 PM & 7-7:50 PM in Rockville. The Movin’ Along program is a fun, aerobic way to improve balance, coordination, and muscle tone. The group exercises to upbeat modern music. Wednesdays 6:30-7:30 PM & 7:40-8:40 PM in Rockville. Communication Counts programs focus on communication and conversational basics, and on improving, understanding, and using verbal and nonverbal communication skills. Two Wednesdays a month 7:00- 8:00 PM in Rockville. The Wednesday Art program allows individuals an opportunity to have fun while expressing themselves creatively. Thursdays 7-8 PM in Potomac. A.C.E is a low-impact exercise program that focuses on aerobic exercise, strength and core work, stretching, and flexibility. Thursdays 7-8 PM in Rockville. The PCR Chorus program meets Thursday evenings, and performs in concert at the end of each semester. Chorus volunteers should attend at least once a month and must commit to performing in the concert at the end of the semester. This volunteer opportunity requires a semester-long commitment and interest in singing. Generally the first and third Sunday of each month 11:30 AM-5:00 PM in Rockville. The PCR Respite I program offers individuals with significant care needs a five- hour day of fun and therapeutic activities. Activities include sensory activities, dance, aerobics, music, art, and more. Volunteers must RSVP to Melissa Wyman the week before a Respite I program; volunteers may not show up to the Tricia Sullivan Respite I program unannounced. Generally the second Sunday of each month 11:30 AM-5:00 PM in Rockville. 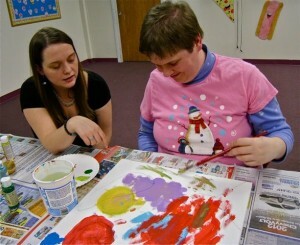 The PCR Respite II program offers individuals with moderate needs a five-hour day of fun and therapeutic activities. Activities include: adapted yoga, dance, aerobics, music, art, and more. Volunteers must RSVP to Melissa Wyman the week before a Respite II activity; volunteers may not show up to Respite II program unannounced. RSVP either by emailing mwyman@pcr-inc.org, or calling (301) 365-0561. PCR volunteers offer friendship and assistance to the PCR members and programs, which are vital to the success of these programs. I am hoping PCR can provide you with a meaningful volunteer experience where you will discover fun and personal growth. I look forward to working with you.